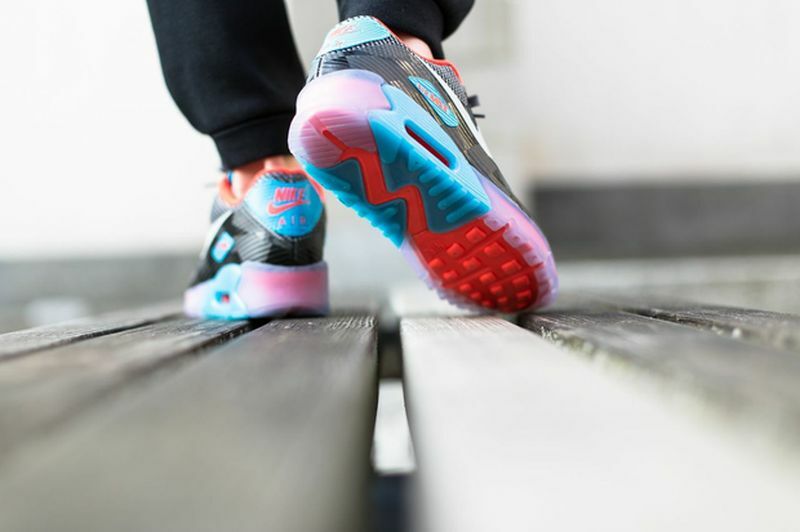 Nike Sportswear continues the ICE line with a brand new concept incorporating Jacquard on the Air Max 90. 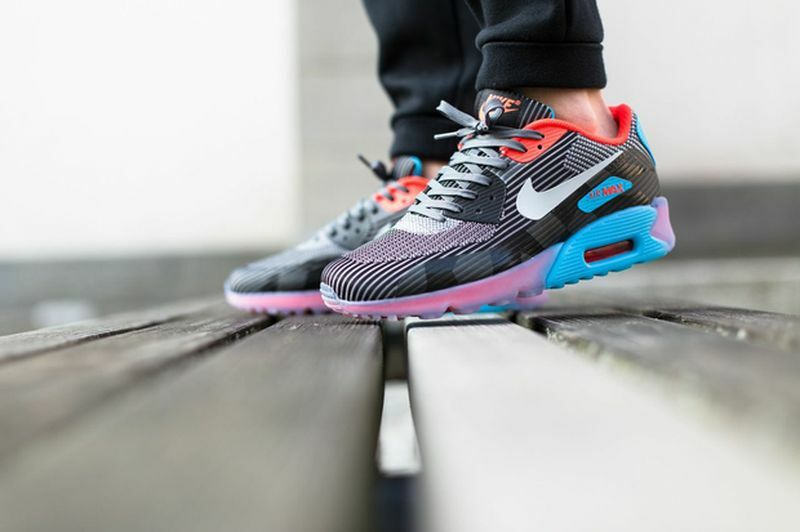 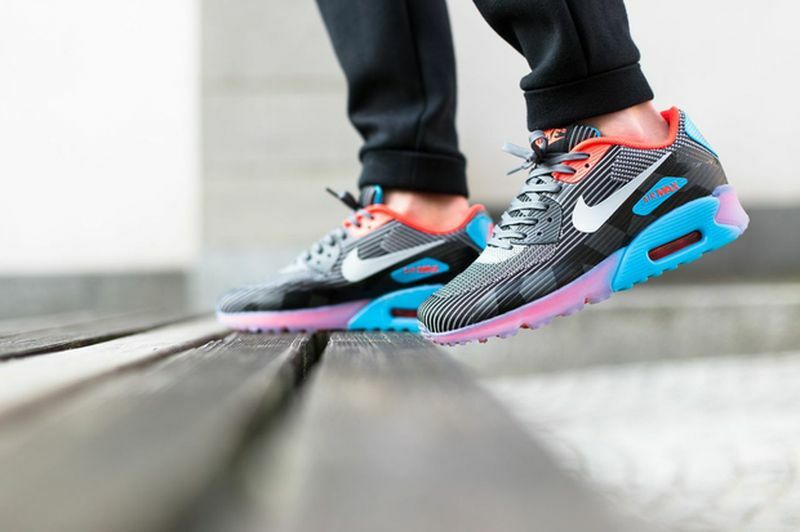 Seen here is the latest colorway of the Nike Air Max 90 Knit Jacquard ICE, featuring a color description of Dark Grey/Wolf Grey-Black-Blue Legend and a combination of materials that include Jacquard, Carbon Fiber, Icy outsole and lastly, flat laces. 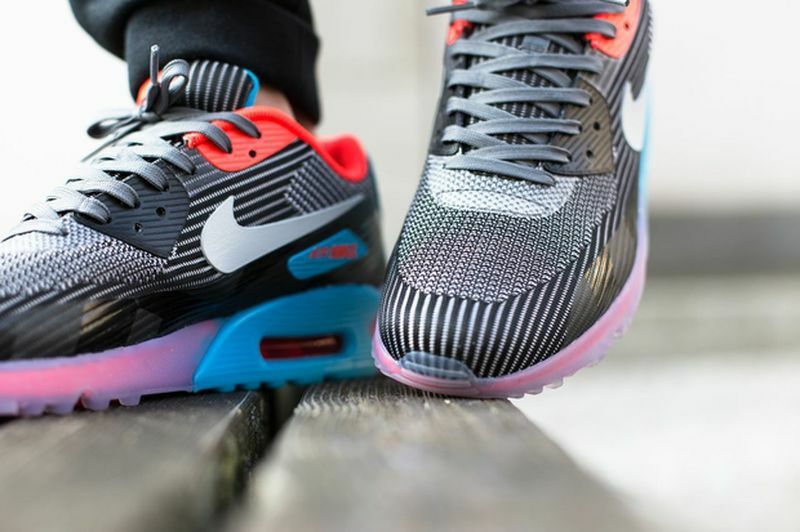 Grab the Nike Air Max 90 Knit Jacquard ICE over at Titolo.